Our new Codamount Laminator leverages Coda’s award-winning laminator technology in a unit with optional features so you can configure (and afford) just what you need and nothing more. Available pressure-sensitive, heat-assist or thermal in 26”, 34", 44", 54" and 64” widths. 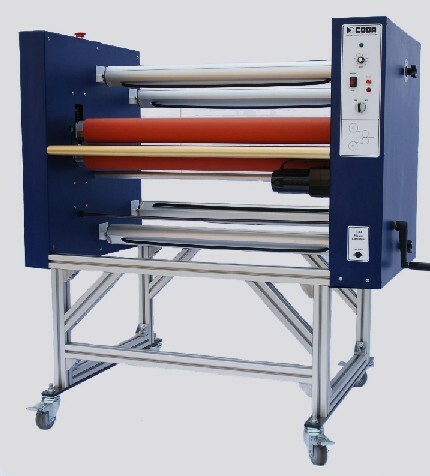 The Codamount Laminator is easy to use and can be run by one operator. This laminator is the ideal choice for any size business, from being the backbone of a small shop to being a high production unit in a larger operation. The features on Coda’s Codamount Laminator are comparable to industrial machines requiring a higher investment of both time and money. Please call to get a freight quote (201) 825-7400.